Jobs and population: Where's the beef? 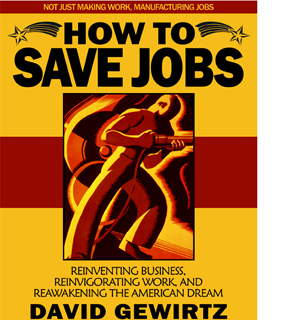 Editor's Note: This article continues our series excerpted from AC360°'s contributor David Gewirtz's book, How To Save Jobs, which is available now. AC360° viewers can download it for free at HowToSaveJobs.org. To learn more about the book, follow David on Twitter @DavidGewirtz. Different cultures consume meat with a differing level of gusto, but meat production is so resource intensive, it’s still worth a detailed look. The results are staggering. By 2002, China was already consuming nearly twice the meat (measured in metric tons) as the United States. They chowed down on 67.7 million metric tons, while the U.S. gobbled a comparatively dainty 36.3 million metric tons of carnivorous joy. India, a nation less culturally attuned to meat (and particularly beef consumption), weighed in with smaller numbers – consuming only 5.4 million metric tons. But what if China consumed as much meat, per capita, as Americans do? China, alone, would consume 63 percent of the world’s meat supply (or about 166.7 million metric tons). And, of course, raising animals requires feed, energy, and water. And, well, animals fart. According to the Web site Ask the Meatman (a must-visit), the typical cow yields about 715 pounds of beef. Assuming all of China’s meat consumption was beef (it’s not, but for our purposes, it’ll give a good enough view on the issue), the Chinese population today would consume about 331 million cows per year. If they consumed beef at America’s level, they’d be porking up on 514 million cows. Within 10 years, China’s cows alone will be consuming one seventh of the world’s oil production. I like to provide the most conservative, and therefore the least controversial, figures. When looking for the most conservative resource consumption numbers for beef, who better to ask than the Cattlemen’s Beef Board and National Cattlemen’s Beef Association? According to these beef advocacy groups, a typical 1,250 pound steer causes the consumption of 13.83 gallons of oil in his 4-year life, or about 3.45 gallons a year. About 2.6 pounds of grain and 435 gallons of water are required to produce one pound of beef. Other organizations claim cow production consumes a much greater resource load, but I’ll use what we know must be a bare minimum figure, because the Beef Board is promoting it. Finally, let’s add the fun flatulence component to our mathematical model. Yes, ladies and gentlemen, I’ve computed fart figures. According to data derived from a study by the Space Applications Centre in Ahmedabad in western India, who published a pan-India livestock methane-emission inventory that was reported in the April 11, 2009 issue of Time Magazine, each cow puts out about 53 pounds of greenhouse gas per year. If you put all those numbers together, just how much of a resource impact is China’s growing meat consumption? China’s cows would require 1.8 billion gallons of oil. China’s cows would require 955 billion pounds of grain. China’s cows would break wind with 27 billion pounds (12.36 million metric tons) of greenhouse gases. 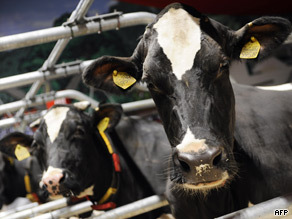 China’s cows in 2020 would require 2.4 billion gallons of oil. China’s cows in 2020 would require 1.2 trillion pounds of grain. China’s cows in 2020 would require 214 trillion gallons of water (or just about enough water to fill Lake Erie, Lake Tahoe, and the Dead Sea). Earlier, I talked about the need to change our approach to population simply because the math tells us we must. These numbers reinforce that picture. Within 10 years, China’s cows alone will be consuming one seventh of the world’s oil production. And that doesn’t count India. While India doesn’t consume as much meat, the country has more cows than any other country on the planet. You do the math. Next week, we'll start talking about what this means for the future of the American labor force. Hi, thank you Anderson for everything you and CNN are doing for they haitian people. the Haitian gourvernement is doing an good job prosecuting those American that where trying to leave the country with those Haitian, but who is going to prosecuting that haitian police who's name Jean Pierre Evense the unit he is attach too they call it (BIM), her whent to my cousin house at 9:30 pm take him tortured him then kill him and trash his body under an bridge my cousin name was Winchel Sylvestre, that is some thing that happen two week ago at Carrefour Lamentin 54 Rue cocteau prolonge #173. Please anderson keep them honest, if the are prosecuting those American that just want to help should the prosecuting that police who kill an 17 years hold man?